It's pretty much impossible to buy used/barter/trade at the last minute. Well, you could, but even Goodwill is pretty picked over by Christmas eve! I've been slowly collecting gifts from consignment stores and thrift stores..and occasionally trading for photography. Always keep an eye out for a gift...even if you aren't specifically shopping for that person. I have found the greatest gifts when I wasn't really looking. Keep a list of all the people that you are shopping for so you can keep track. Keep a gift "box" under your bed or in a closet so that you can have them all in one place. I love this. Anytime I find a cool gift, I just pop it right into my gift box and know that I can forget about it until Christmas! This is a great thing to have year-round...because as birthdays pop up, you can just grab a gift from the box. Don't buy gifts for everyone. I used to do this...because I LOVE giving gifts. But this year, I am limiting it to family and a few close friends. For Bella, we would like to start the tradition of 3 gifts only...representing the 3 gifts the wise men brought Jesus. Last year I made cool magnets. It's always cheaper to do something crafty. I usually do a lot of photo-related gifts, especially for the grandparents. I have some crafty things that I am making this year, but I can't reveal it on my blog...that would ruin the surprise! Don't get stressed. The focus is on Jesus, not gifts. The gifts are just a great symbol of what God gave us in His son. Giving gifts is so much fun for me. I thought about just not doing any gifts this year...but then I realized how much joy I get from seeing someone's face light up. Compacting this Christmas has been enjoyable and easier than I thought! And I am THRILLED to not be out at the malls. Wheeeee! It feels so good to NOT buy something after having the urge to do so. Realizing that I actually demonstrated self-control is exciting. Shopping at Goodwill is fun. It's much more exhilerating to find the exact item I need at a thrift store...than to just run into Target and walk right to it. Less convenient, yes..but more fun. I can overspend just as easily at thrift stores as I can in Target. 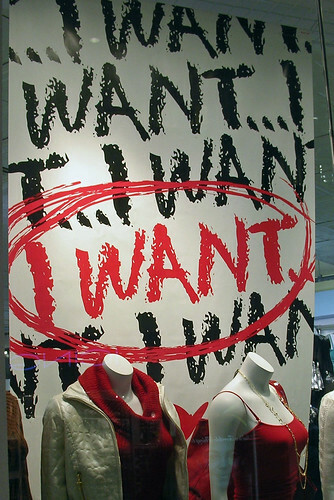 I am extremely senstitive to how I am feeling when looking at advertisements. I can take the time now to dissect those emotions and realize that they are constructed. There have been several times when I've thought, "I would have totally bought that if I wasn't Compacting!". I started to add up all those things I kept saying that about...and it was several hundred dollars. It's a great feeling to save that money instead of spend it on things that I wouldn't want a few hours later anyway. Doing the Compact seems to make some people upset & confused. Like the fact that I am actually THINKING about my purchases throws their whole existance out of whack. Apparently, compacting is very threatening. I haven't found it to be particularly difficult to buy used, barter/trade, or make do. It's been great! I have especially enjoyed finding Christmas gifts this year. I thought that it might be difficult, because I am usually a Christmas Eve "hurry up and buy anything!" kind of shopper. Total procrastination. I am happy to say that I am almost done shopping for everyone on my list! Here's to 319 more happy days of Compacting!